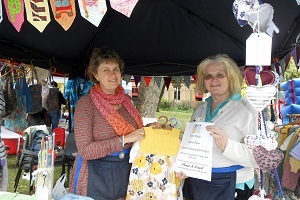 'Plain & Pearl' is an informal social knitting group which started in early 2011. During this time our membership and friendship has grown considerably. We welcome all ages and abilities and currently have attendance from a wide range of ages – spanning from 10 to 80! The 'Plain & Pearl' knitting sessions are creative and fun, with knitting abilities ranging from the 'absolute beginner' to some very serious knitters who are known as 'the experts'. 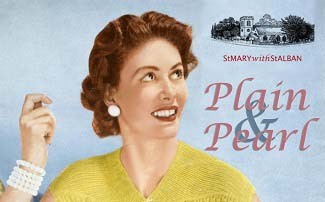 The “Plain & Pearl” knitters meet on the 2nd Tuesday of the month in the Parish Hall from 7.30pm to 9.30pm. The atmosphere is relaxed and supportive and we operate a 'buddy' system to offer advice and assistance. Refreshments, needles, patterns, ideas and help are provided. 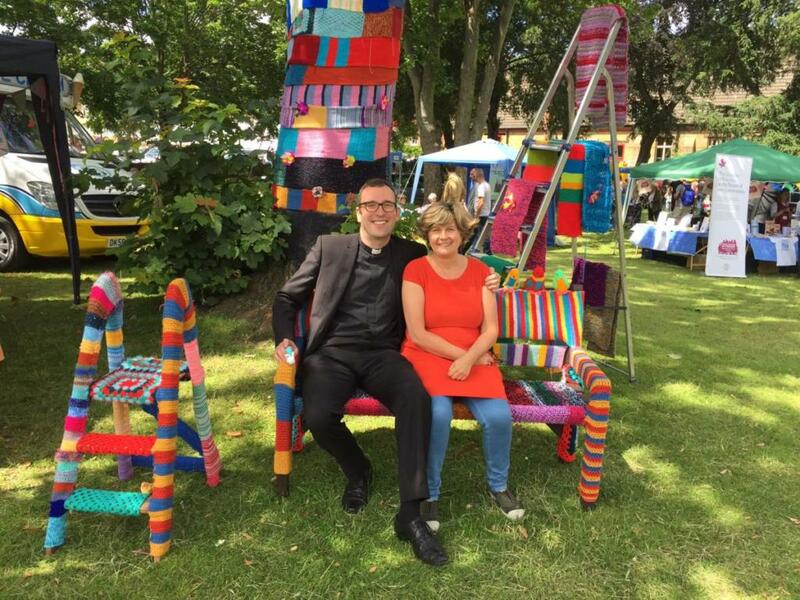 In addition to being able to knit for yourself, knitting projects have included knitting mittens and jumpers for the craft stall at the Church Bazaar and Welcare. Other projects have included cardigans, booties and hats for the local premature baby unit and mini bobble hats for Innocent Smoothie bottles (an Age Concern initiative). Knitted blankets and Teddies will soon be delivered to South Africa where a member of the group has links with an orphanage and a crèche situated in the Limpopo region. In addition to 'Plain & Pearl' knitting we also run 'Plain and Pearl Craft'. This group meets on the 4thTuesday of the month in the Parish Hall from 7.30pm – 9.30pm. The craft group is also well attended with a similar age range to that of the knitting group. During the last year we have all enjoyed turning our hands to a variety of craft activities. These have included a 'Bunting' session, making 'felt' hearts and stars for the Church bazaar, Orange Pomanders, Paper craft and Christmas card making. On the 6th December we really got into the Christmas spirit and enjoyed a Christmas Wreath making session accompanied by Christmas music, mulled wine and homemade mince pies. More recently everyone enjoyed a 'learn to crochet' session that was extremely well received. 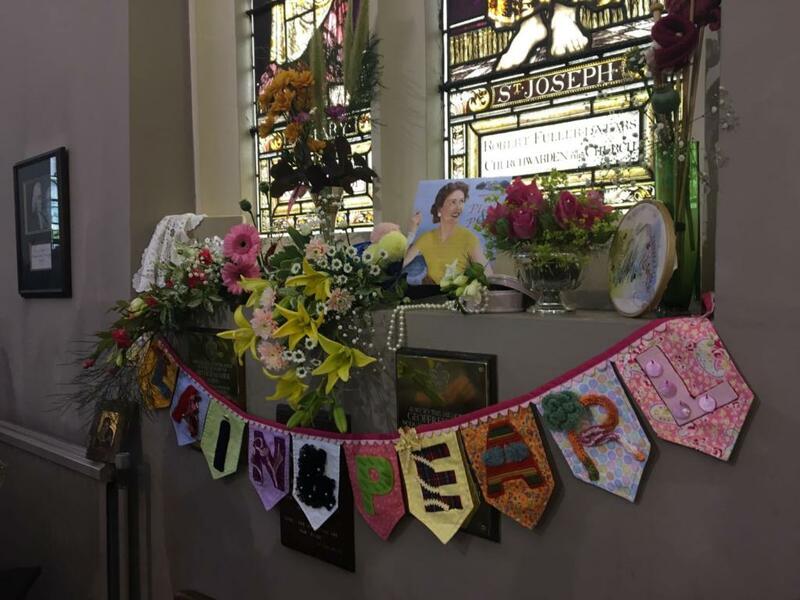 'Plain & Pearl' also organise social outings for the members which have included a visit to Alexandra Palace and to Sunbury Gardens to watch embroidery workshops and to indulge in a spot of lunch at the same time! We welcome all new members – who will be warmly received. There is a small charge to cover refreshments. For more information please email josie@stmarywithstalban.org, or just turn up on a Tuesday evening. "A beautiful craft-filled Saturday afternoon was held to celebrate Plain and Pearl's 5th Birthday. A fabulous range of cakes, crafts and entertainment were on offer to the 50 people who came. All left feeling happier for the experience. Plain and Pearl was the brain child of Josie and Joy, who set out to ensure that the knowledge of traditional hand crafts is passed on to others willing to learn, young and old. They never imagined that 5 years later they would have so many members ranging from 8 to 80 years old. This friendly and enthusiastic group is open to all who wish to attend, from those with no previous experience to more accomplished crafters. The group meets twice a month, with attendees coming from Teddington and further afield. 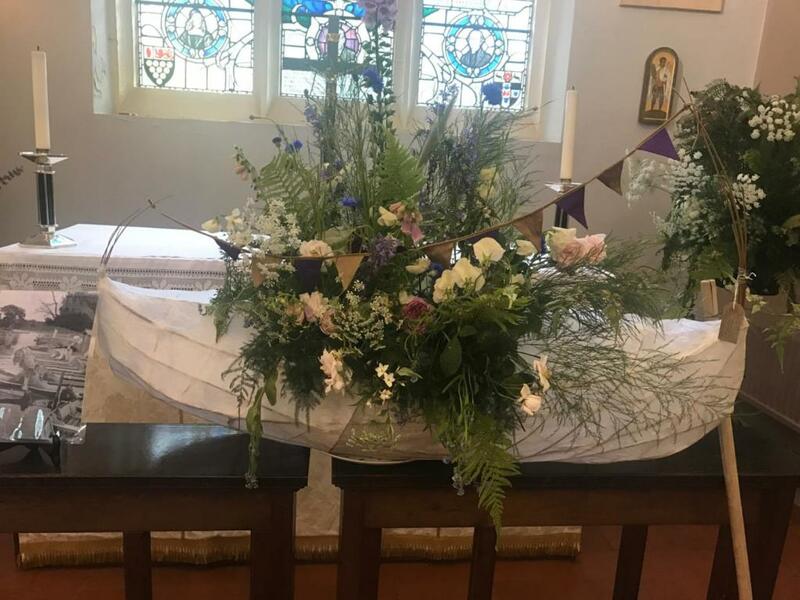 Meetings include the opportunity to learn and practise old and new crafts, as well as to put skills to work making things and raising money for charities." P&P are now looking for donations of extra large vintage buttons (4.5cm/2” diameter) for items being made for the Church Bazaar on 26 Nov. 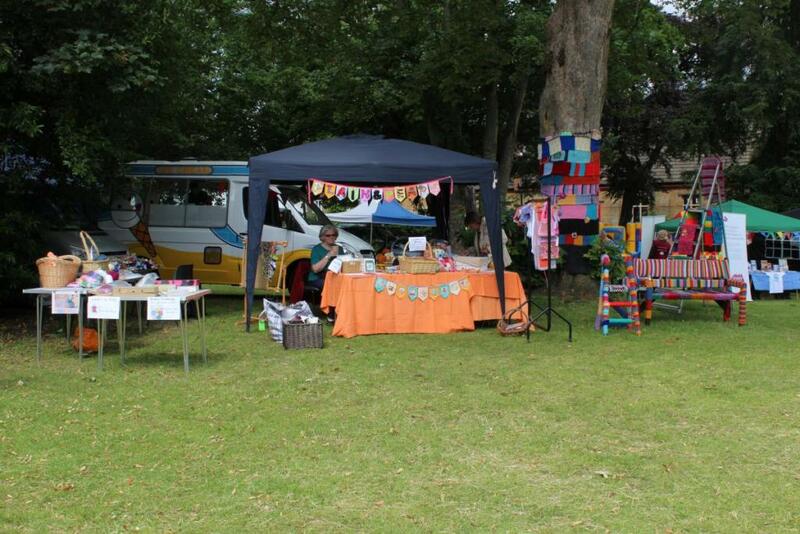 This year's P&P stall was decorated in colourful yarn bombing made from handknitted scarves. 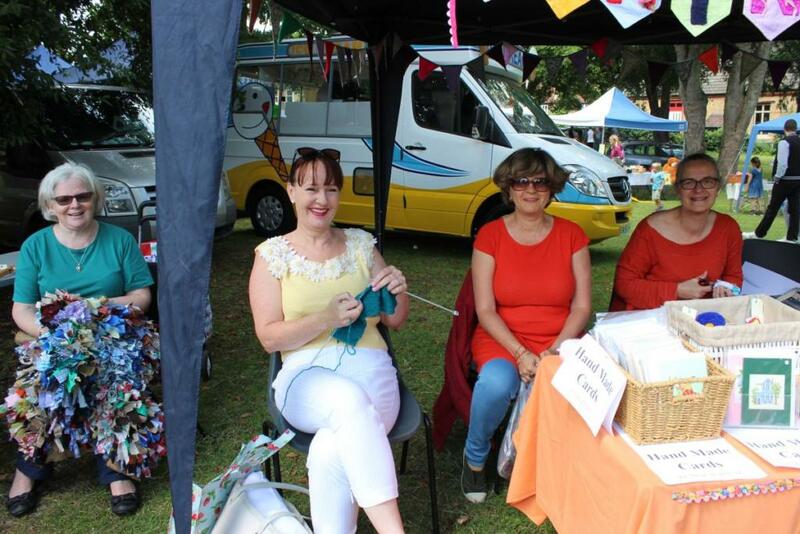 Lots of people visited our stand and took part in various crafts such as in arm knitting, crocheting, rag rug making, amigurumi, sewing buttons challenges. So do come and join us at our next meeting!